No ‘Team GB’ for education! The Wales Government has announced its plans to implement the recommendations of a report it commissioned earlier this year “Find it, make it, use it, share it: learning in Digital Wales.” We are quite excited that Wales is one of the pioneers in developing a whole-country strategy for the promotion of digital technologies in school classrooms – including advocating the widespread use of mobile devices, a shift to a PLE rather than MLE focus and the use of social software for learning. There are one or two things we disagree with, such as the heavy emphasis on a ‘national’ collection of resources, but the rest of the report is exciting, forward thinking and realistic. There is a serious commitment to mass staff development at all levels – surely the biggest barrier to take up of new technologies in the classroom – including defining a set of digital competences for teachers. This report also recommends that these competences (personal AND pedagogic) be compulsory in ITT courses. The other section of the report which will cause major ripples is the chunk entitled “External conditions for success” which seem to us to identify all of the brick walls which teachers come up against and suggests that they should be dismantled. I am going to quote the report in full because it is music to the ears of most of us involved with e-learning in schools. learners and their parents/carers have adequate access at home (and increasingly on mobile devices) to ensure that technology-enhanced learning in the classroom can be replicated and deepened outside the learning provider. The main vehicle for turning the report into reality will be an organisation called the ‘Hwb’ (no, not a funny way of spelling Hub, ‘hwb’ means to promote, push or inspire). Its remit will be to lead, promote and support the use of digital resources and technologies by learners and teachers across Wales and create and develop a national digital collection for learning and teaching in English and Welsh. Both Pontydysgu and the Taccle2 project in Wales are committed to doing what we can to support the Hwb and will make sure that all our resources and experience in the field are freely available. The driving force behind it all is Leighton Andrews, the Minister for Education in Wales – with whose politics I usually disagree – but I am very happy to admit that he has come up trumps with this one! He is knowledgable, committed and comes across as a genuinely enthusiastic technophile with an understanding of what education could look like in the future and a clear vision of how, in Wales, we are going to get there. (“Just like Michael Gove!”, I hear my English colleagues say….). I must admit, that even as a card-carrying member of a different party (byddwch chi’n dyfalu! ), devolution has been all good in terms of education and we have had two excellent Ministers. Look at the image on the top of this post and you may understand why we are looking forward to an increasing divergence and autonomy. Team GB? No thanks! Posted in changing environment, educational shift, learning 2.0, News, Open Educational Resources, PLEs, policy, politics, social media, Taccle, teaching and learning, Wales Wide Web | Comments Off on No ‘Team GB’ for education! Last week we broadcast three live internet radio programmes from the European Conference on Educational Research (ECER) in Cadiz. Here is the first of the programmes. ECER is a huge conference, this year attracted some 2700 participants. It is run by 27 networks who each put together their own programme. The networks cover a wide range of topics – from Continuing Professional Development: Learning for Individuals, Leaders, and Organisations to Open Learning: Media, Environments and Cultures to Social Justice and Intercultural Education. We wanted to reflect the diversity of the networks in our programmes and at the same time try to capture something of the feel of the conference. I don;t know if we succeeded but it was a lot of fun and also hard work. Many thanks to the Pontydysgu crew: Nic, Jen, Dirk and Maria. Hi Graham, writes Tess Pajaron from the Australian Open Colleges, “My name is Tess and I am an avid reader of your blog. I read an article you did about online learning and Technology Integration in the Classroom and I thought that you can make use of this infographic that we just developed. You can check it out here: http://newsroom.opencolleges.edu.au/learning-analytics-infographic/. Its a good infographic and I am happy to feature it. Personally I am somewhat sceptical about learning analytics, but others in Pontydsygu are keener and we certainly want to find out more. And we are always happy to feature reader submitted content (as long as you are not a bot!). The European Conference on Educational Research (ECER) starts next Tuesday in Cadiz in Spain. Some 2000 delegates will take part, organised through 28 networks covering different areas and themes in education. Not able to attend yourself? Pontydysgu are working with EERA, who run the conference, to provide alive stream of the four keynote speeches. We will be also broadcasting three live half hour internet radio programmes from the conference. The details are below (all times are Central European summer Time). The live video can be accessed through the conference web site (full details will be on the site in the next 48 hours). The radio programmes can be accessed at http://uk2.internet-radio.com:31022/live.m3u. Click on the link and the stream will open in your MP3 player of choice (e.g. iTunes). This years meme at ed-tech conferences is disruption. There seems to be two opposing discourses. One says that education is not in a period of disruption – rather that the system is evolving to take account of the possibilities that technology offers for teaching and learning. The other says we are entering a period of disruption with the existing system fundamentally unable to respond to needs and that the take up of technology will lead to fundamental change. The rush to deliver and accredit MOOCs is seen as the tipping point. I think both sides are wrong. Firstly there are massive differences in different countries. Whilst there is little doubt of the speed of change, uncertainty and even disruption in the US and UK higher education sectors, in Germany and the Netherlands, for example, life seems to be going on as before. What this suggest to me is that it is not technology as such that is the major factor in disruption. Rather it is social and ideological drivers which are leading to the more apocalyptic scenarios. We probably have reached a tipping point in that the use of technology for learning is becoming mainstream. And the availability of high quality learning opportunities outside the classroom means that educational institutions can know longer claim a monopoly on learning or knowledge. Equally the power of smart phones is opening up new contexts for learning. Of course these developments will lead to changes – particularly in pedagogy – within institutions. But the promise of such developments is to extend education to all who wish to learn, rather t5han the present minority who are able to access higher education. But this i9s a political and social decision. Technology can be used in many different ways – for good and for bad, In the US and in the UK the technology argument is being used as part of an ideological drive to extend the remit of capital to include education – in other words to privatise education. And of course the new private institutions will be driven primarily by the need to make a profit – rather than by pedagogical imperatives. Lets look again at MOOCs. the early MOOCs – now known as c-MOOCs – were developed by people like Stephen Downes, George Siemens, Dave Cormier and Jim Groom. The idea of massive open online courses was not to make money. Quite the reverse : they were struggling to find models to sustain the programmes. They were motivated by the idea of new pedagogical approaches to using technology for learning. Now MOOCs have been picked up by the mainstream system. Coursera is an international consortium of elite universities using a proprietary platform to deliver free online courses. Apart from their use of video these courses are somewhat traditional in their pedagogic approach. At last weeks EFQUEL conference, Jeff Haywood, Vice Principal of Knowledge Management at Edinburgh university, a founder member of the Coursera consortium, was quite explicit about their interest in MOOCs. We are there to make money, he said. And if we do not make money within four years we will close the MOOCs down (it is worth reading Audrey Watters extremely amusing account of the education session at the TECHCrunch Disrupt conference in San Francisco earlier this week). 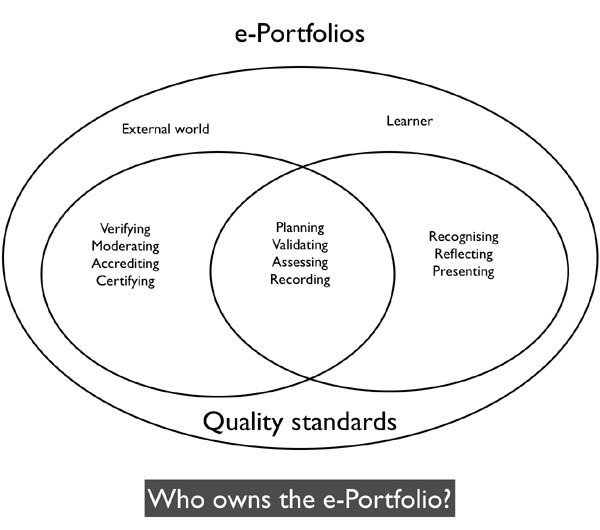 Same technology – but very different pedagogic approach and motivation. So it is not technology per se which is the driving force behind the great disruption. Rather it is the economic crisis and political and ideological responses to that crisis. As a society should we be retaining free education and investing in education as a response to the fall in productivity and high levels of unemployment. Or should be be seeking to cut back by privatising education? That is the real debate. 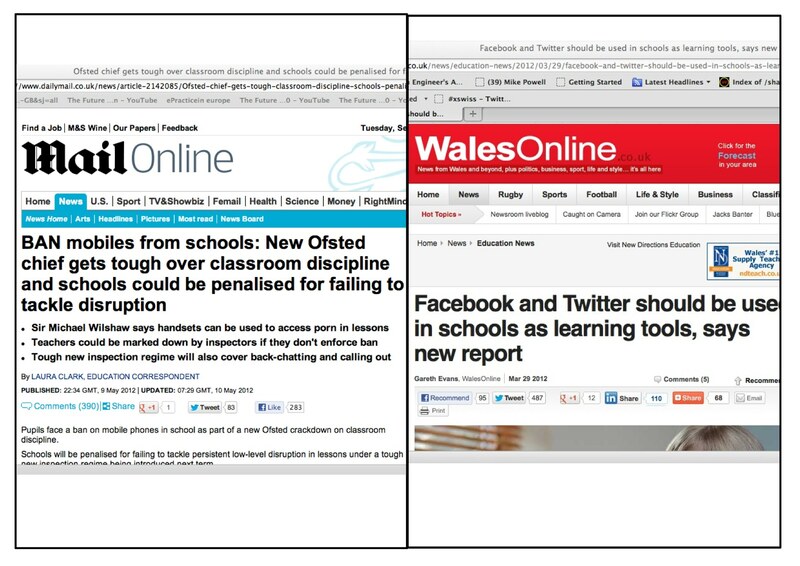 Posted in Change, education 2.0, educational shift, Innovation, MOOCs, Open Learning, Pedagogy, politics, Wales Wide Web | Comments Off on The Great Disruption? I have never been a fan of SCORM.It is claimed that the SCORM standard has reduced the cost of elearning through ensuring that all e-learning content and LMSs can work with each other. However, it has always seemed to me that SCORM was built around a funnel idea of learning, rendering problematic more ambitious and constructivist pedagogies. Thus I have paid little attention to what ADL – who ‘own’ the SCORM standard are up to. Wrongly it seems. Sequencing is based on the activities. Whilst much is made of the simplicity of the standard, there is a danger that it will get more complex in implementation. At the moment there is only a limited infrastructure to support Tin Can. Rustici offer a cloud implementation, including a free low volume account. There is also a book marklet and should shortly be a plug in for WordPress. That WordPress may be one of the first workable implementation speaks volumes in itself of the difference from SCORM which was designed for heavyweight Learning Management Systems. Project Tin Can looks fascinating. I would be intere4setd in hearing what others think.